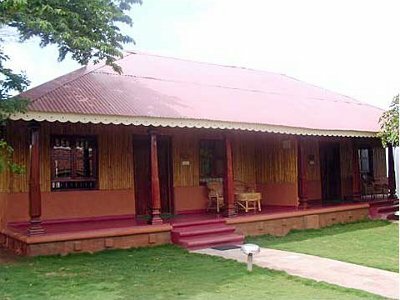 The Indus Valley Ayurveda Centre is a unique award winning Ayurveda clinic @ spa resort in Mysore, India, offering traditional therapeutic and beauty treatments, designed by a highly experienced panel of doctors who have taught Ayurveda in Germany, UK, USA and Japan and India. 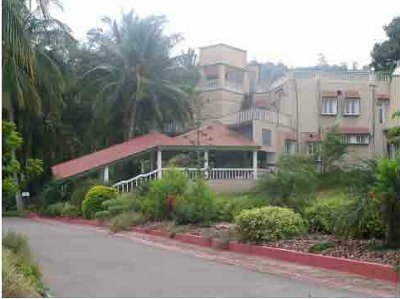 The centre is located in Mysore, India at the foot of the scenic Chamundi hills with a breathtaking view of the Lalitha Mahal Palace. 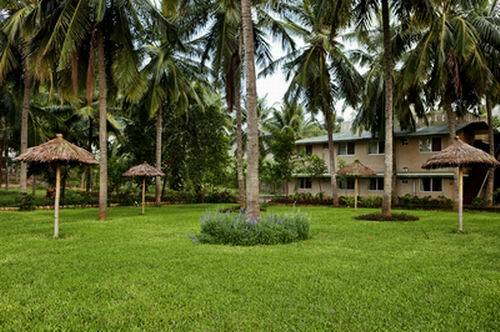 Set amidst coconut grove and eucalyptus trees the air is clean, fresh, pure and invigorating. 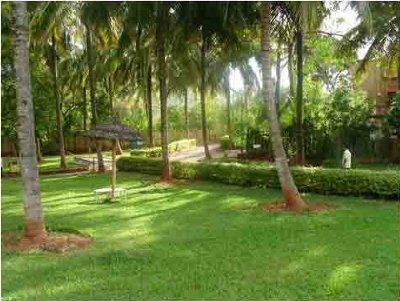 This positive and healthy environment is complemented by a perfect Vaastu of the property and the project conceived based on Vaastu – giving the healing process a holistic cosmic dimension. 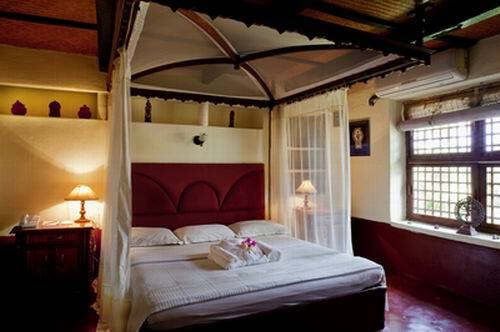 The New age Ayurvedic resort – is set perfectly in Mysore’s peaceful environment. The center has a clear focus on rejuvenation and cure, which is in perfect accord with the surroundings where the air is fresh, pure and invigorating - the perfect choice for a health and leisure break. 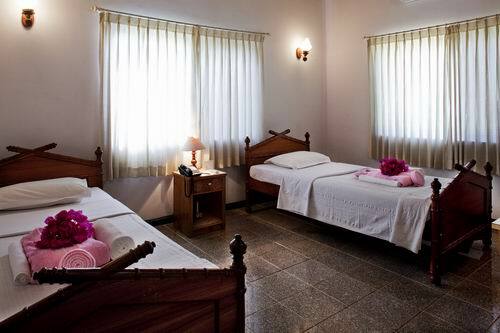 At IVAC, all features are designed to gently soothe, relax and put you at total ease. 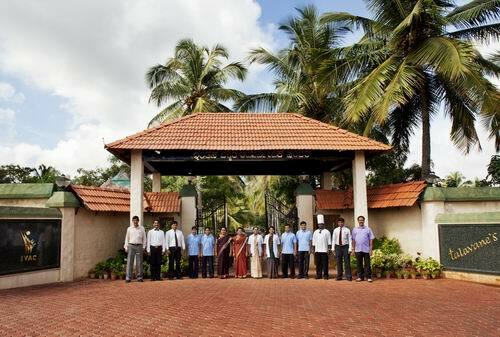 The sense of wellness, peace and equilibrium can be experienced at IVAC at all times. Indus Valley Ayurvedic Centre (IVAC) is constructively engaged in the revival of an affordable, reliable and proven Ayurvedic healthcare system. Through scholarly research and study, IVAC seeks to improve our understanding of the disease process, the role played by modern lifestyles in producing stress and anxiety and how to deal with them. Our approach to teaching and practicing Ayurveda is multi-disciplinary. We examine the complex interactions between the physical, social, mental and environmental factors and how they affect our lives. Thus, our programs reside at the qualitative end of holistic care, wherein our practitioners and the recipients of care interact much more closely than in conventional modern medicine. Ayurvedic research at IVAC is an ongoing effort with the purpose of making useful contributions to mainstream medicine. IVAC has committed substantial resources into Ayurveda research. For the first time IVAC is a part of a collaborative research program with Vikram hospital and Heart Care, Mysore and the University of Maryland, USA on the study and prevention of childhood obesity. A number of similar research programs have been planned for the future. Serving the needs of people from all walks of life, IVAC provides a secular environment and support for healing, learning and personal development for individuals, groups and institutions. 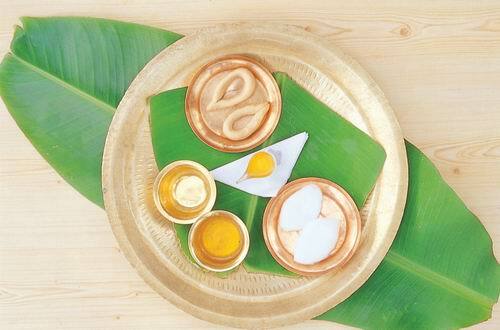 IVAC is well on its way to becoming a global model for authentic and innovative ayurvedic treatment. 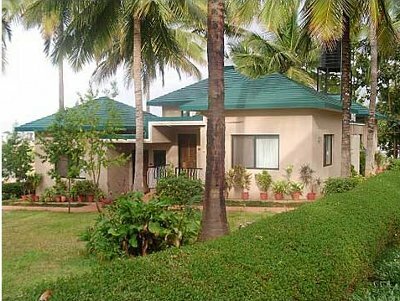 In addition to its ideal “holiday resort” location and peaceful surroundings, IVAC is fully equipped to offer a full range of ayurvedic treatments ranging from Panchakarma, Abhyanga, Yoga, meditation, ayurvedic cuisine and natural botanicals all of which promote the concept of health through wellness. IVAC’s mission is to help people achieve an ideal balance in life, an integration of body, mind and spirit. Promote peace, prosperity and good health among all cultures. Bring Ayurveda into the mainstream of modern medicine. Use Information Technology to educate the international community about the benefits of Ayurveda. Create an innovative centre of excellence in holistic medicine. 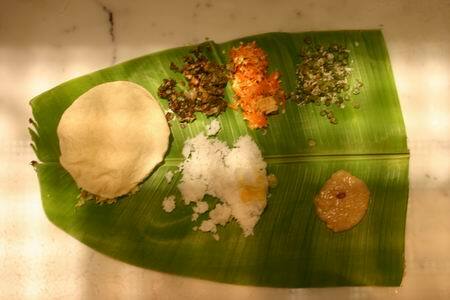 Develop new treatments based on Ayurvedic principles. Develop a global outlook for the Ayurvedic way of life. Expand the boundaries of traditional healthcare through research. Design and develop an extensive herbal garden. Build a full fledged Ayurvedic reference library and database. Adopt the highest ethical standards in all our activities. 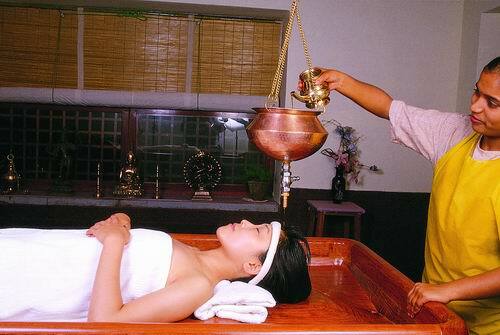 IVAC offers treatments are; Vamana, Virechana, Basti, Nasya, Raktamokshana, Panchakarma – The Ayurvedic Detox, Ayurveda – The healing system, The Tridosha, The scientific proof, Rejuvenative Treatments, Abhyanga, Shirodhara, Netra Tarpana, Netradhara, Sweda, Navarakizhi (Shastika Sali Pinda Sweda), Talapodichil, Shiropichu, Patra Pinda Sweda (P.P.S), Sarvangadhara (Pizhichil)Kayaseka, Udvartana, Kashaya, Seka, Padaghata, Shiroabhyanga, Padaabhyanga, Talam, Chakra Basti, Greeva Basti, Kati Basti, Hrid Basti, Janu Basti, Shiro Basti, Beauty Therapy, An ayurvedic herbal foot treatment performed using various herbal pastes, decoctions and cream. 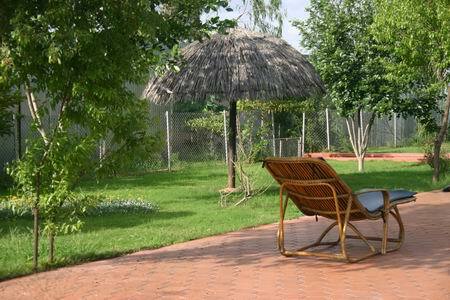 All aspects of our programs are natural, nourishing and relaxing. Each treatment is designed to promote and restore good health. At IVAC we educate our guests to become more aware of their body's needs and to make informed choices as to how to adopt a healthy lifestyle. All our therapies and treatments are carefully designed to restore the mind body balance. Our trained, loving, caring and hospitable staff will ensure that you will have the best of personalized service round-the-clock. Dr. Talavane Krishna, MBBS, F.F.A.R.C.S., the Founder President of IVAC, is a pediatric anesthesiologist by profession. He has practiced in U.S.A, Canada for 30 years but exposure to Ayurveda as a family tradition and passion about Ayurveda brought him back to India to set up Indus Valley Ayurvedic Centre and endeavor to create a global model for Ayurvedic institutions. 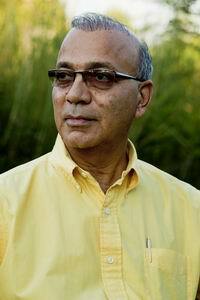 Dr. U.K Krishna M.D (Ayurveda) Ph.D. is IVAC's Senior Ayurvedic Physician. He spends 6 months at IVAC, teaching and training therapists and doctors. Dr. R. Prasanna Venkatesan, B.A.M.S., D.N.Y.S., P.G.D.C.A., M.B.A., Senior Consultant Physician - HOD Therapy and Marketing Manager, conducted a research on Integrated Management in Childhood Obesity in collaboration with Maryland University, USA. With specializations in PanchaKarma, Nadi Vignan, Vaastu, Pranic and Reiki Healing, Transcendental Meditation, Marma Therapy, Ashtanga Yoga and Naturopathy, he has been successful in treating many physical and mental ailments. Dr.V.S.Deepthi Niranjan,B.A.M.S., Senior Consultant Physician, she qualified as a Bachelor in Ayurveda Medicine & Surgery from one of the India's elite institutions, the Rajiv Gandhi University in Mysore. She was the Resident Ayurvedic Physician at the prestigious Indus Valley Ayurvedic Centre where she gained valuable experience in treating a largely international clientele visiting the centre for both therapeutic and rejuvenation purposes. She has significant experience in successfully treating people with various chronic ailments through both purifying( Panchakrma) and pacifying methods She has gained excellent experience in training staff in Ayurvedic techniques as well as had a number of speaking assignments for a variety of audiences. Dr. Srikanth H.S, B.N.Y.S., Resident Medical Officer, is a graduate in Naturopathy and Yogic Sciences from SDM College Naturopathy and Yoga, Ujire, Karnataka. Well experienced in Advanced Pathanjali, Yoga, Acupressure, Reflexology, Reiki & Pranic Healing, he has participated in many ayurvedic camps and in the future aspires to take this holistic science forward to a higher level through his contribution in the field. 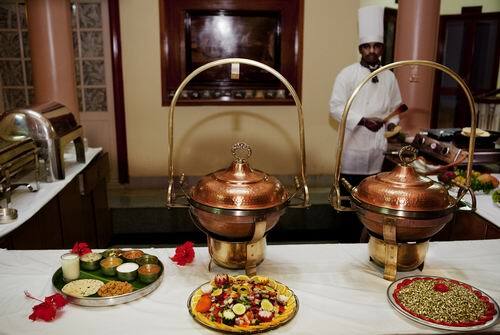 In line with Ayurvedic tradition we serve wholesome vegetarian cuisine prepared using fresh fruits, vegetables and grains. 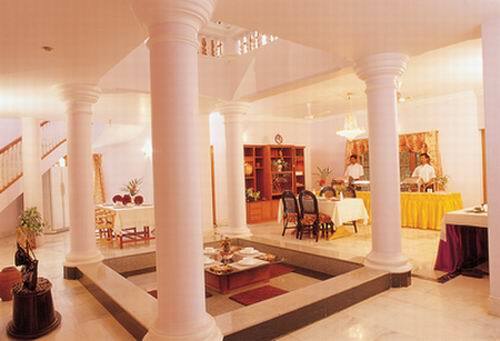 One meal in our Annapoorna, the in-house restaurant is enough to convince you that healthy food tastes great too. 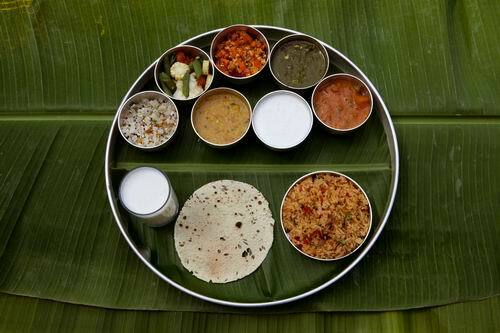 Sumptuous Ayurvedic meals, cooked and served in completely hygienic conditions – you don’t miss non-vegetarian fair at all. Along with being 100% vegetarian IVAC follows a strict no-smoking and no-alcohol policy to help the healing and rejuvenation process. Rooms at IVAC are exquisitely appointed with handcrafted furniture and all possible modern amenities, recreating the ambience of the ancient meeting the modern, making them very comfortable yet truly at peace with its surroundings. Each room is unique and has a character all its own. 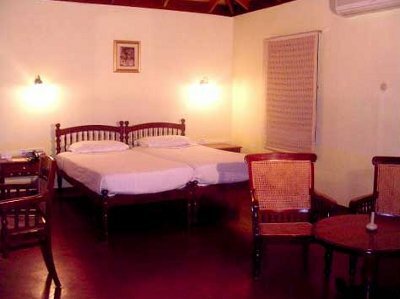 There is a choice of Air conditioned Villa, Cottages and Deluxe Rooms along with non air conditioned Standard rooms for guests to choose. 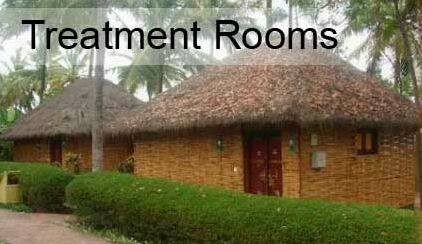 The ambience in the treatment room is temple-like and very conducive to healing, along with having all modern conveniences. 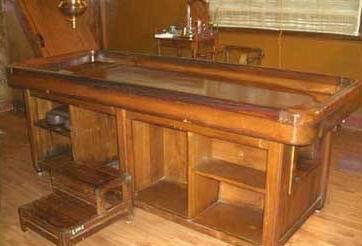 The massage tables are specially designed and crafted out of single pieces of wood. 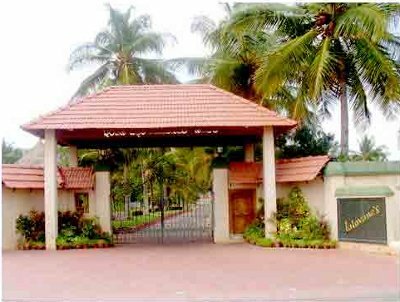 Cleanliness is of paramount importance and IVAC scores over all Ayurveda centres on this issue as the entire place is completely spotless, in spite of the constant use of oil and other natural handmade decoctions. The treatment rooms have been incorporated into the dwelling units to ensure privacy and easy access. Some other interesting features on Campus include our extensive Ayurvedic library, the jyotirvana - astrological herb garden and even have a consultancy with a Vedic astrologer. 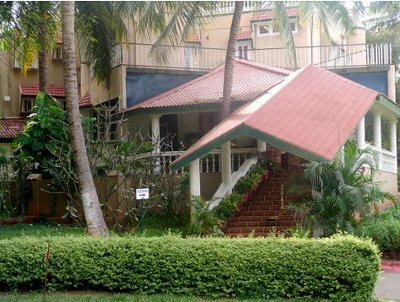 IVAC facilities like the beautifully laid out swimming pool, a plush tennis court, an idyllic Yoga hall is offset discreetly with practical facilities like internet and tour and travel centers. 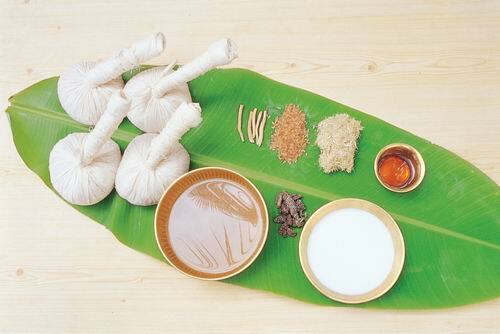 Your time between treatments can be spent learning a bit more about herbs, Ayurveda, Vaastu or even Ayurvedic cooking. Alternatively, you could simply relax in the gardens or by the luxurious pool, play tennis, explore our herbal garden or browse through our gift shop or play tennis. The gift shop is well stocked with specialized items rarely found in commercial outlets. Yoga and Ayurveda are two sides of the same coin. IVAC’s therapeutic yoga instructor will teach guests the appropriate Asanas and Pranayama (breathing techniques) to enhance the healing potential of Ayurvedic Treatments and modify their lifestyles. According to Ayurveda the practice of yoga is a very important natural and preventive measure to good health. 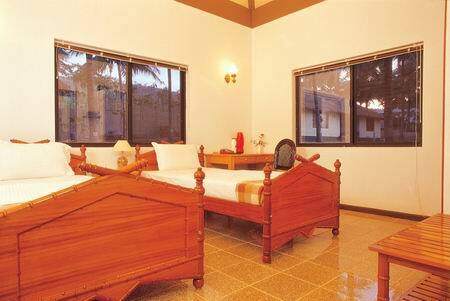 The Vaastu has been carefully planned of almost every detail. The land has a good NE slope. 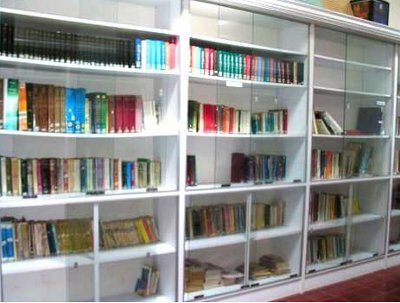 Address: Lalithadripura, Mysore Post Box No-3, Ittigegud, Mysore-570 010, Karnataka, India. In many ways this is a model centre. The layout and tranquility of the land is very beautiful. 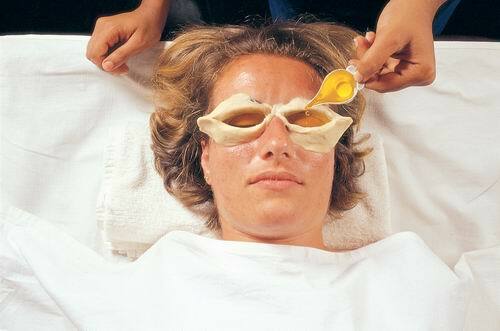 Treatments and therapists have been very well trained and all in all the quality of what is provided is world class. 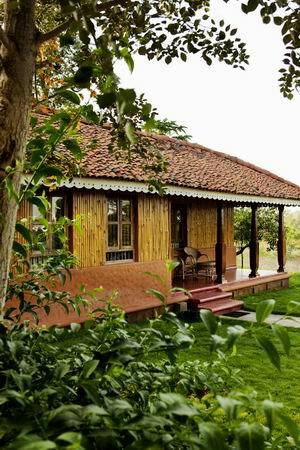 Highly recommended for a broad range of care, from basic enjoyment of the wonderful setting to a successful pachakarma. IVAC has successfully managed to represent what i believe most health centers would aspire for in service, asthetic and quality of health treatment. Enchanting, serene, rejuvenating. Three words that only begin to describe the experience while staying at IVAC. The quiet surroundings, the attentive staff, and wonderfully knowledgeable doctors for guidance on a health treatment plan. 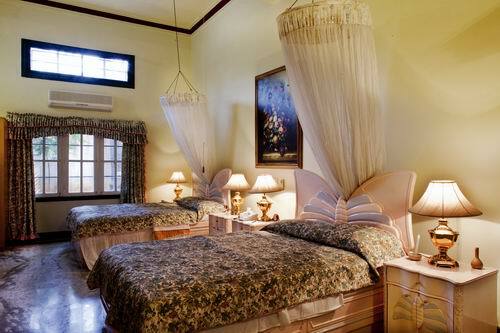 I felt comfortable and relaxed during my stay. Highly recommended for a broad range of care, from basic enj ..